That was my wife the other day as she borrowed my newly updated iPad. I have been looking forward to iOS 7 since they announced it back in June. I was able to download it during lunch hour the day it came out this past Wednesday. After playing with both the iPhone and iPad versions of it, I have come to be very happy with it. Talking to a few colleagues and friends, and seeing a few initial reactions on Facebook and Twitter, I did see mixed reviews. I found that casual users who did not even know about iOS 7 generally did not like the new look, but that those who keep up with Apple news were prepared for the new flatter look of everything. Now, iOS 6 looks stale and outdated. 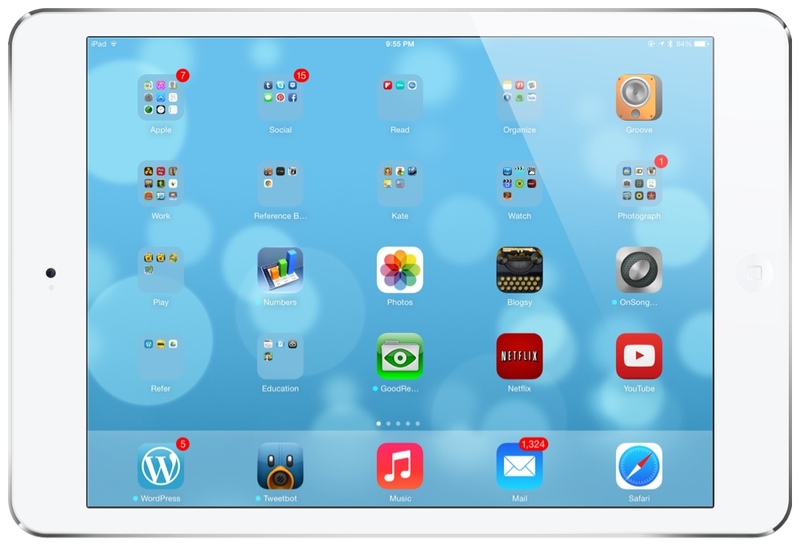 Our set of iPad minis at school will be updated to iOS 7 this week and I look forward to utilizing its many new features. All developers are changing the look of not only their icons, but their entire apps. They have been working hard since June to release a newer version of their apps that will fit in nicely with the theme of iOS 7. Apps such as Evernote, Google Chrome, Facebook and WordPress all look incredible with their updates. 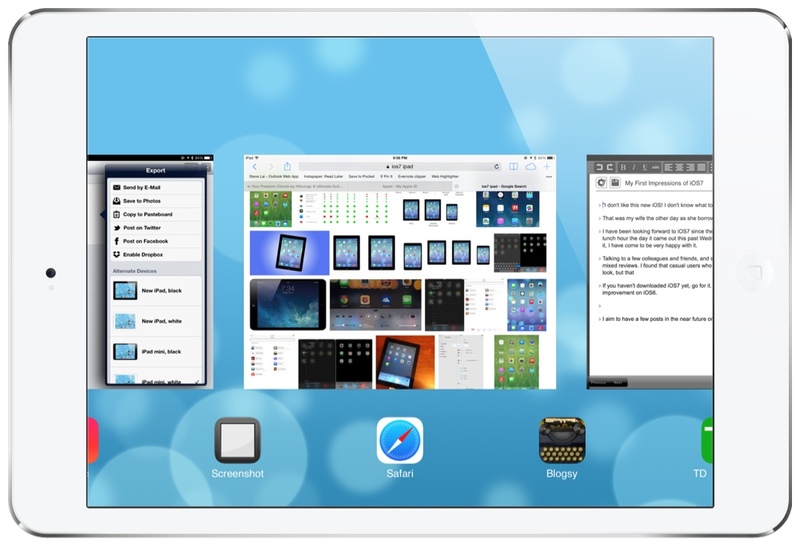 Below: One of the best new features is the tabbed icon view, where you can swipe up to close an app. Below: Comparing the old vs. the new. 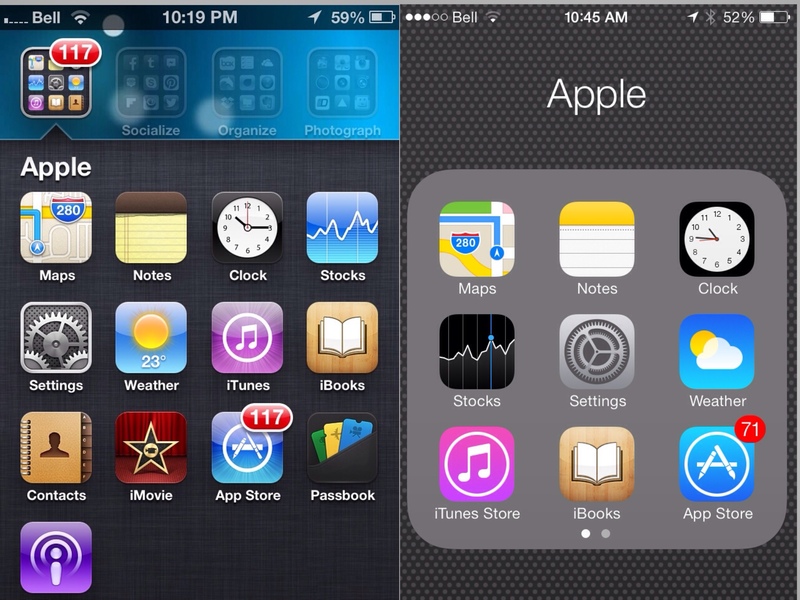 Notice the flat, two-dimensional interface of iOS 7 on the right. If you haven’t downloaded iOS 7 yet, go for it. If you have an iPhone 4 or iPad 2 or newer, it will be a great improvement on iOS 6. Although some may not like iOS 7, it is inevitable that all new devices will be pre-installed with it. Change is good. iOS would have been stale and boring had it not changed. Apple has done solid work with this operating system. People will get used to it and learn to use its new features. Apple can only get better with future updates. I aim to have a few posts in the near future on tips on how to use iOS 7. How are you liking the new look of iOS 7? Let us know in the comments! Thanks for the additional comments Tim! Time to spring for a 5S for burst mode!